If you live in a city, such as Madrid, where there is more than one team, you’ll know what it’s like on derby day. In fact, you’re likely to know what it’s like in the week leading up to derby day. Friendships are divided as club loyalty take over and here, talkSPORT.com looks at rivalries in football, from London to Liverpool and beyond. focusing solely on local derbies – and assesses them by passion and ferocity. 20) Partizan Belgrade v Red Star Belgrade: Famous for violence disguised as football passion – Both clubs were formed in the aftermath of World War II, with Partizan representing the army and Red Star the police. 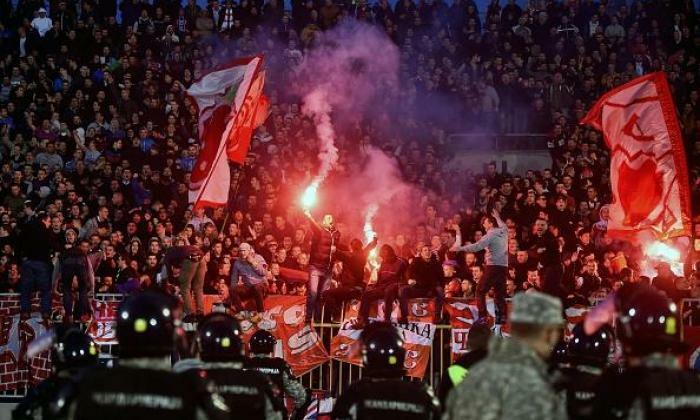 The latter’s European Cup success sets them apart, but to observers outside Serbia, football in the Eternal derby is secondary, with violence coming to define the fixture. 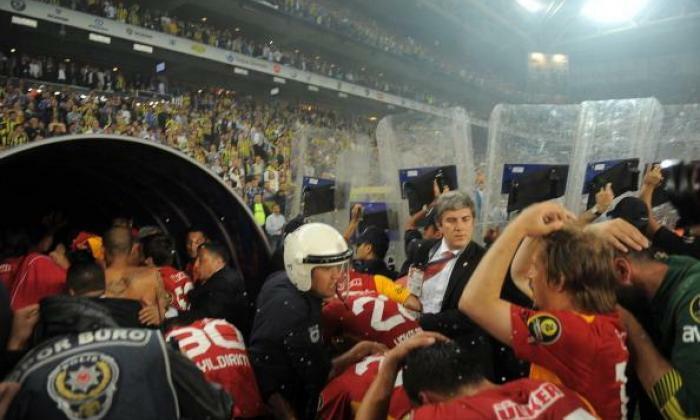 In 2015 the game was delayed because of crowd trouble, which saw 35 police officers injured. 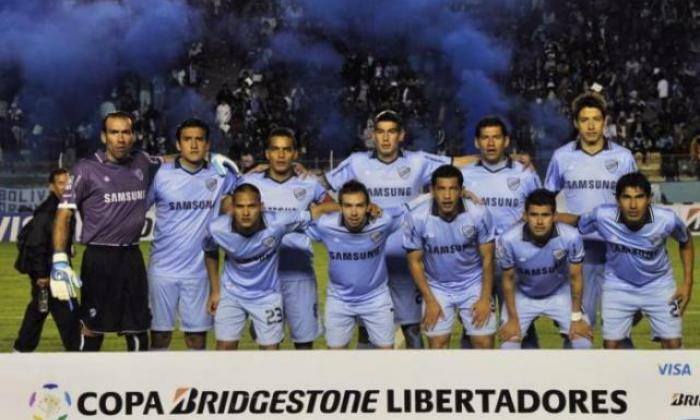 19) Bolivar v The Strongest: Famous for Altitude, intellectuals – Played at altitude in La Paz, Bolivia’s Clasico Paceno sees Club Bolivar, founded by intellectuals, take on The Strongest, a team of soldiers. The nerds, however, have the upper hand overall with 28 titles to their rivals’ 12. 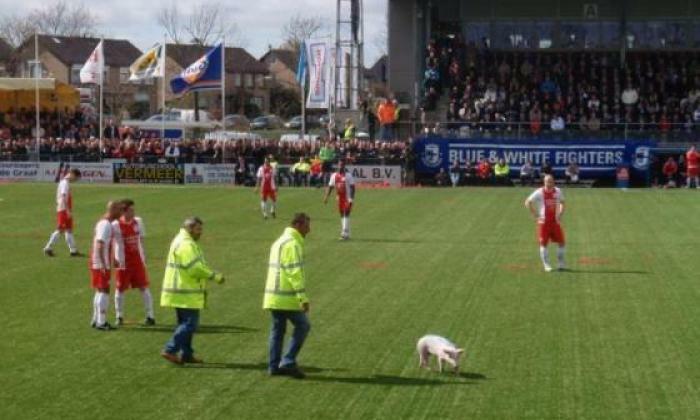 18) Ijsselmeervogels v SV Spakenburg: Famous for Pigs, planes, pyrotechnics – Planes overhead, fireworks, ticker tape galore, 70 per cent of the local town in attendance, and a pig on the pitch. Welcome to the Dutch third division, where the little village of Spakenburg in the north of Holland is split down the middle twice a year, and alcohol sales are banned across the whole village until the full-time whistle goes. 17) Aston Villa v Birmingham: Famous for emotion, occasional violence and Peter Enckelman – Known as the Second City derby, Villa Park and St Andrew’s are about three miles apart and when they meet it’s usually memorable. 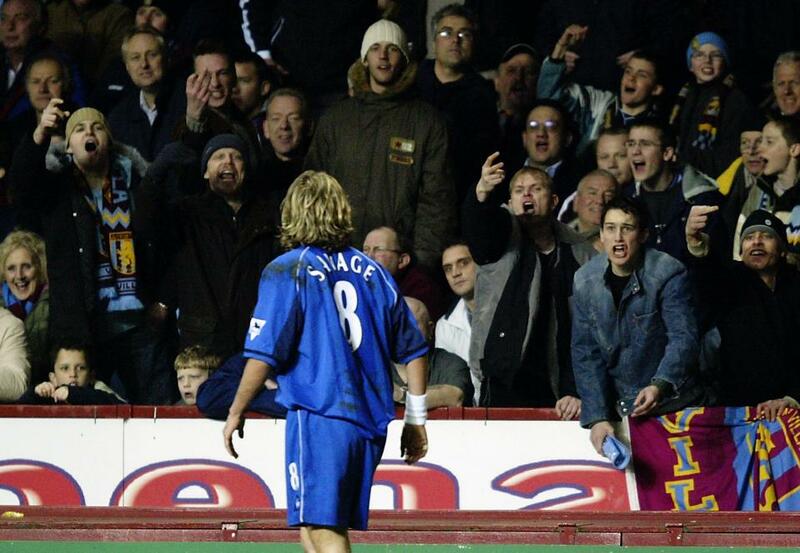 In a 2003 match, there was a 21-man brawl, trouble in the stands, two red cards and Robbie Savage being substituted for his own safety having been headbutted by Dion Dublin. A year earlier Villa goalkeeper Enckleman’s gaffe saw him misjudge an Olof Mellberg throw-in as the ball trickled into his own net. In 2011 Alex McLeish angered both sets of fans when he left Birmingham to take over at Villa. 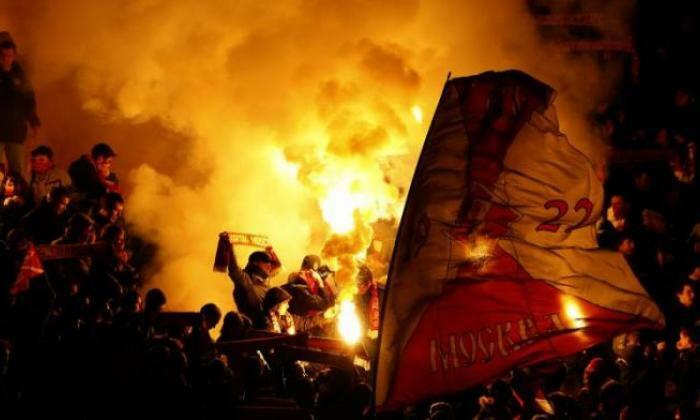 16) CSKA Moscow v Spartak Moscow: Famous for Political undertones – Spartak are the people’s club. CSKA were the team of the Soviet Army, count the Russian Ministry of Defence as a shareholder and were once owned by Roman Abramovich. A case of the haves and the have-nots, then. 15) Barcelona SC v Emelec: Famous for League deciders, riots – The youngest of our featured games was born only in 1943, when the Guayaquil neighbours first locked horns in the ‘Shipyard Derby’. It has, however, grown over the years thanks to the duo’s dominance in the league and a passionate fanbase. Sadly, rioting and missiles are the norm, and the death of a young Emelec fan struck by a flare in 2007 taints Ecuador’s biggest game. 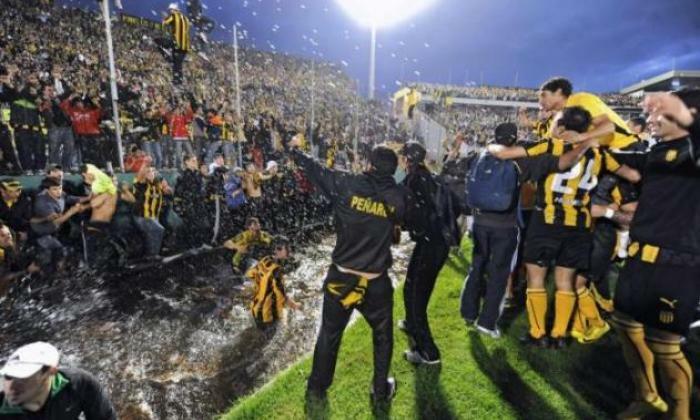 14) Nacional v Penarol: Famous for Success, social divides – The ‘Uruguayan Clasico’ is South America’s oldest derby and these Montevideo teams share 96 league titles between them. Originally the Central Uruguay Railway Cricket Club, Penarol was the team of the European immigrants, while Nacional formed in 1899 as a team for native Uruguayans. 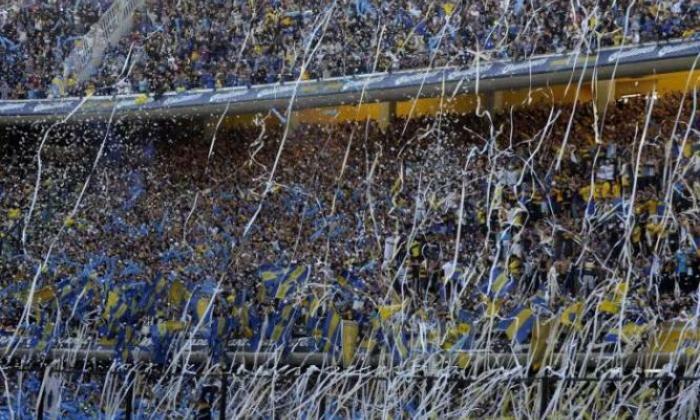 The rivalry burns as fiercely today, even if its profile remains low compared to, say, Argentine cousin Boca-River. 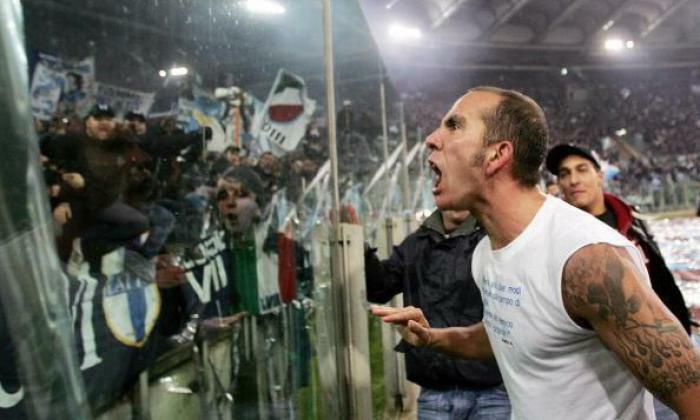 13) Lazio v Roma: Famous for flares and fascists – It’s slightly strange that Roma are associated with left-wing politics in the Derby della Capitale: they were founded when Mussolini merged three clubs in an attempt to create a counterpoint to the dominance of Juventus and the Milans. Lazio refused to join. Both sets of Ultras are a violent lot. Note 2004, and a riot that led to 13 arrests and 170 injured police. 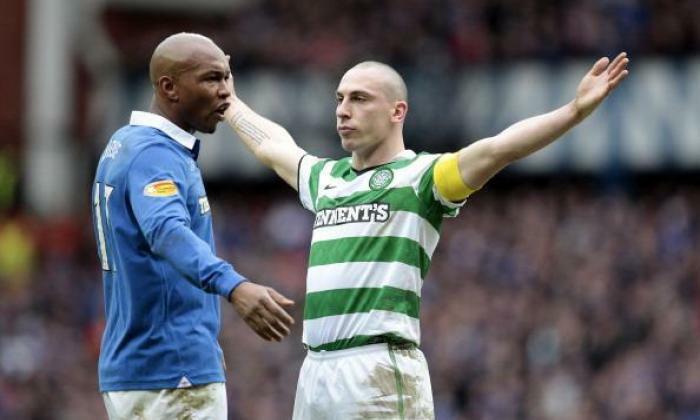 12) Celtic v Rangers: Famous for Sectarianism, frequency (formerly) – World famous, ferocious and historic, which until recently is a match that hadn’t been played since Rangers’ demotion. Yet their meltdown isn’t the only reason for an Old Firm being outside the top 10. This was a derby fairly recently graced by Brian Laudrup, Paul Gascoigne and Henrik Larsson. The competition for Celtic just isn’t there right now. 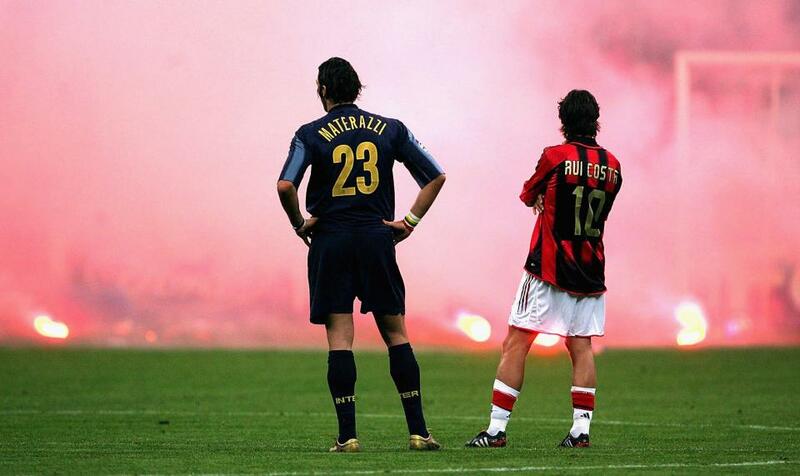 11) AC Milan v Inter: Famous for See-sawing fortunes – Size: tick. Passion: tick. Global appeal: tick. Inter held sway in the distant past, while the Rossoneri ruled the roost in the 80s and 90s. The games themselves are goose-bump inducing, with flares, flags and foul language. Zlatan Ibrahimovic summed it up: “80,000 [people]. You come out one time and the whole stadium is blue. You come out the other time, the whole stadium is red. That is what you play for – I like it when the fans are whistling me. It triggers me. I don’t know what it is but it triggers me.” Recently, though, it has been let down by a lack of games of trophy-deciding importance. 10) Benfica v Sporting Lisbon: Famous for closeness – These Lisbon neighbours are too close for comfort, with just 3km separating the grounds. The problem for the Sportinguistas is that, a 2015 Cup triumph aside, their dominance is a distant memory, so the current rivalry boils down to Benfica rubbing their success in their rivals’ faces every time they visit the Estadio Jose Alvalade. 9) Fenerbahce v Galatasaray: Famous for Graeme’s flagpole – In 2014, Galatasaray fans chose to recreate – via a gigantic stadium flag – the moment in 1996 when their then boss/psychopath Graeme Souness ran on to the Fenerbahce pitch and planted a Galatasaray flag in the middle. Somehow, that insult delighted one half of Istanbul even more than the preceding victory. A rivalry fuelled by petty hatred and chaos: we love it. 8) Everton v Liverpool: Famous for Fire and friendliness – England’s oldest top-flight derby, which are fiery games full of red cards and goals. Loud and – at times – mutually respectful fans (witness the Hillsborough solidarity). 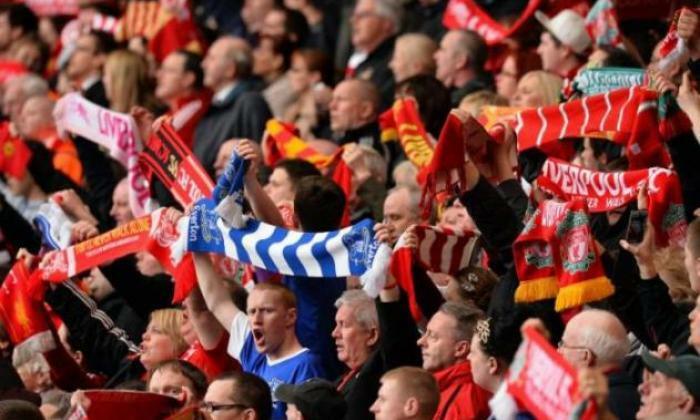 To some, it may not be the most important derby in the north-west, but there is still plenty of bite in the Merseyside fixture. 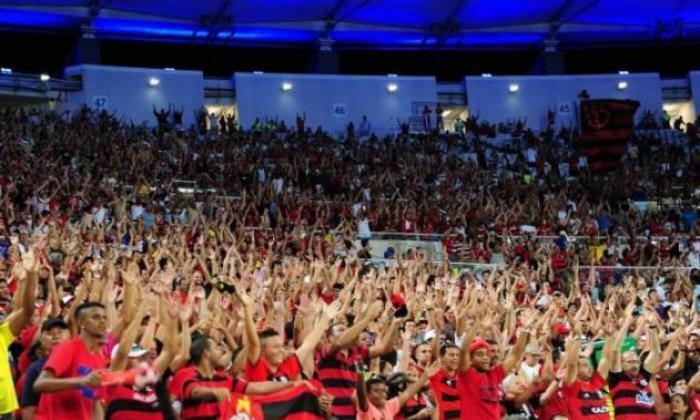 7) Flamengo v Fluminense: Famous for Squeezing everyone in – The Rio derby holds the global attendance record: more than 194,000 crammed into the Maracana in 1963. Typically, it finished 0-0. Flamengo were originally a rowing club, but became a football team in 1911 after dissatisfied Fluminese players defected after a row (no pun intended) with the board. There are several rivalries in Rio, but Fla-Flu is guaranteed a full house. 6) Olympiakos v Panathinaikos: Famous for ultraviolence – The derby of Athens’ eternal enemies can be lively. In 2012 it was abandoned after petrol bombs were set off in the stands. 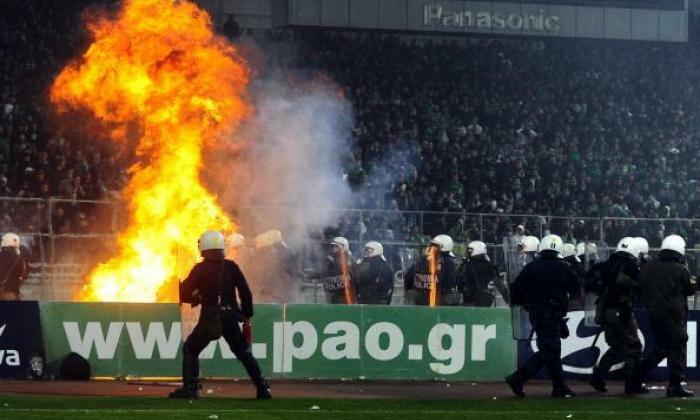 In 2014, Panathinaikos boss Giannis Anastasiou was floored by an object thrown from the crowd and thousands of police were deployed in the following match to try to prevent trouble, but Anastasiou still got himself sent off. 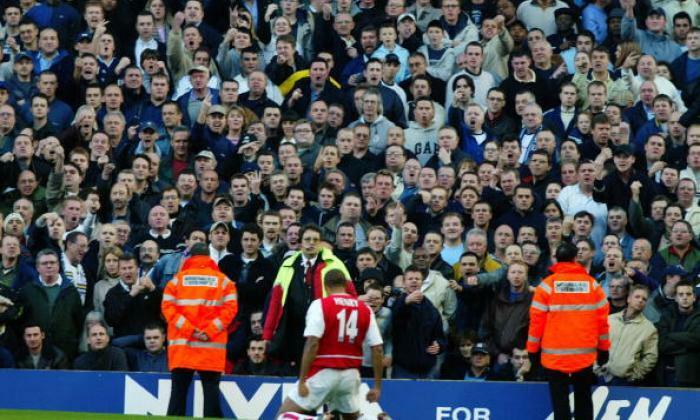 5) Arsenal v Tottenham: Famous for goalfests – The resurgence of Tottenham is the major factor behind reigniting an age-old rivalry that stretches back to when Arsenal moved from south to north London in 1913. Arsenal used to be able to celebrate St Totteringham’s Day amid a lack of actual trophies – the day when Spurs can no longer mathematically finish above them – but even that appears to be dead. 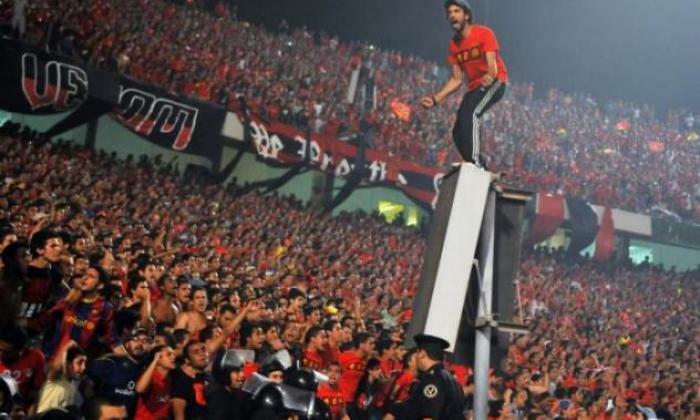 4) Al Ahly v Zamalek: Famous for Violence on and off pitch – It is no mean feat to be known as the most fearsome derby in the league when you consider the Egyptian Premier League has had to cancel seasons in recent years because of political unrest and fan violence. This is a fixture that has had to be abandoned four times and is a game dividing Cairo down the middle between the red of Al Ahly and white of Zamalek, and even sees a foreign referee flown in because all the Egyptian officials are said to have a leaning towards one of the clubs. 3) Atletico Madrid v Real Madrid: Famous for Underdogs finally biting back – Hidden in the giant shadow of El Clasico, the Madrid derby was a joke. Except it wasn’t funny, because everyone knew the punchline. Real won. Until recently. A cathartic victory in the 2013 Copa del Rey final (Atletico’s first win over Real since 1999) gave Atletico a taste for it. They won on their next trip to the Bernabeu, then claimed La Liga but the big, blanco elephant in the room is that Atletico came up agonisingly short against Real in the Champions League final in 2014 and 2016. At least now it’s no longer a mismatch. 2) Manchester United v Manchester City: Famous for Noisy neighbours, Denis Law – A friendly camaraderie before the Second World War, then it turned ugly in the 1970s. 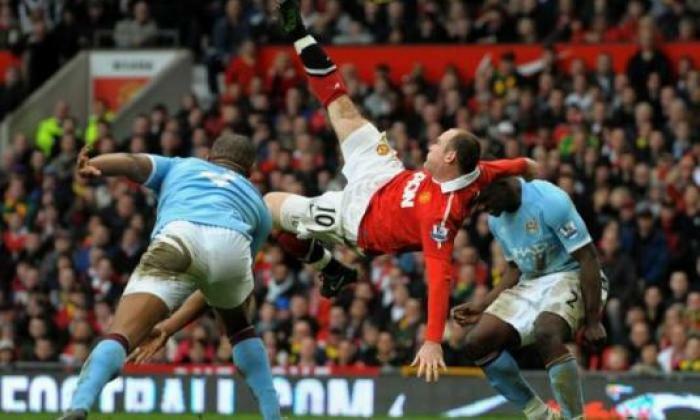 It has been amped up since the blue half of Manchester won the Abu Dhabi lottery and notable moments from recent years include City’s 6-1 embarrassment of United at Old Trafford, Michael Owen scoring a stoppage time winner in a 4-3 classic, and Wayne Rooney’s overhead kick in 2011. It’s a much hyped game and rightly so, especially with Pep Guardiola and Jose Mourinho in the dugout. 1) Boca Juniors v River Plate: Famous for Atmosphere, intensity, resurgence – After a season in the lower leagues, River Plate returned to win the top tier in 2014. Great news for River, terrible news for the Buenos Aires police force. “Derby day in Buenos Aires makes the Old Firm game look like a primary school kick-about,” explains Scottish journalist Gavin Hamilton. With 70 per cent of the country said to have an allegiance one way or the other, you can see why.